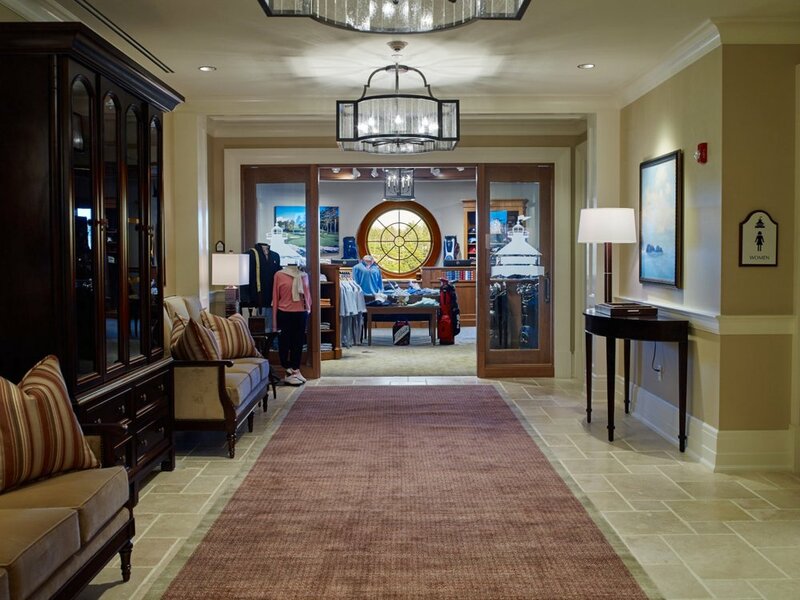 Each locker room was designed with the specific comfort of our members and guests in mind. The Ladies' locker room is decorated with sumptuous fabrics, light finishes, and vanity space with marble countertops. Clad in dark wood and rich leather, the Mens' Locker room comes complete with a big screen television and a large conference table for impromptu meetings. Both locker rooms have personalized permanent locker space for our members, with engraved nameplates, refrigeration for refreshments, and contain all of the amenities needed to refresh between or after your golf game. 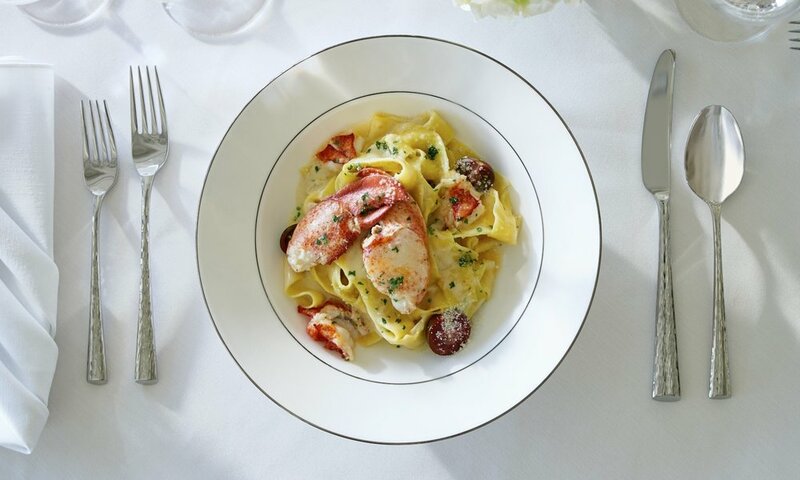 We have created two world-class dining options in the clubhouse for our discerning guests. Our more casual sports bar, Grille 19, has a wide mahogany bar, 80" flat screen TVs, and a heated outdoor patio overlooking the green. Sip a masterfully mixed cocktail, glass of wine, or local beer on tap while you dine on selections from our top-notch bar and grill menu. Named after our visionary founder, Paul's Steakhouse is fine dining at its best: incredible steaks, a range of fresh coastal fare, local vegetables and innovative flavors. An extravagant wine list compliments cuisine from Executive Chef, George Schimert, his stellar team, and indulgent desserts our French-trained Pastry Chef . There is no finer dining experience available in the area. Down on the greens level, we have built a stellar professional golf shop for our members and guests. We have everything from full golf club sets, supplies, and other game necessities. We carry clothing for men and women appropriate for sport and social. Only the finest brands are represented. If you need something we do not have, we are happy to make special orders just for you. Our staff aims to provide the highest level of efficient, flawless service to our members and guests. Expertly trained and dedicated to catering to every need of our members, our staff will be present to assist with any demand or desire you may have. 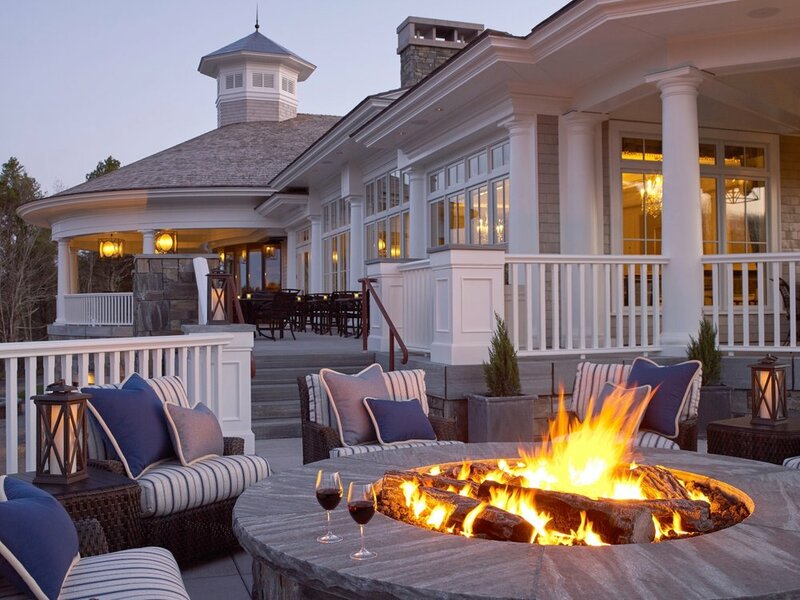 From our waitstaff to our caddies, our front desk staff to our administrative and executive teams, we are here to make your experience at the Boothbay Harbor Country Club the best it can possibly be.